Nothing shows romance, love, and caring better than this beautiful Rose and Maiden Hair Arrangement selection. 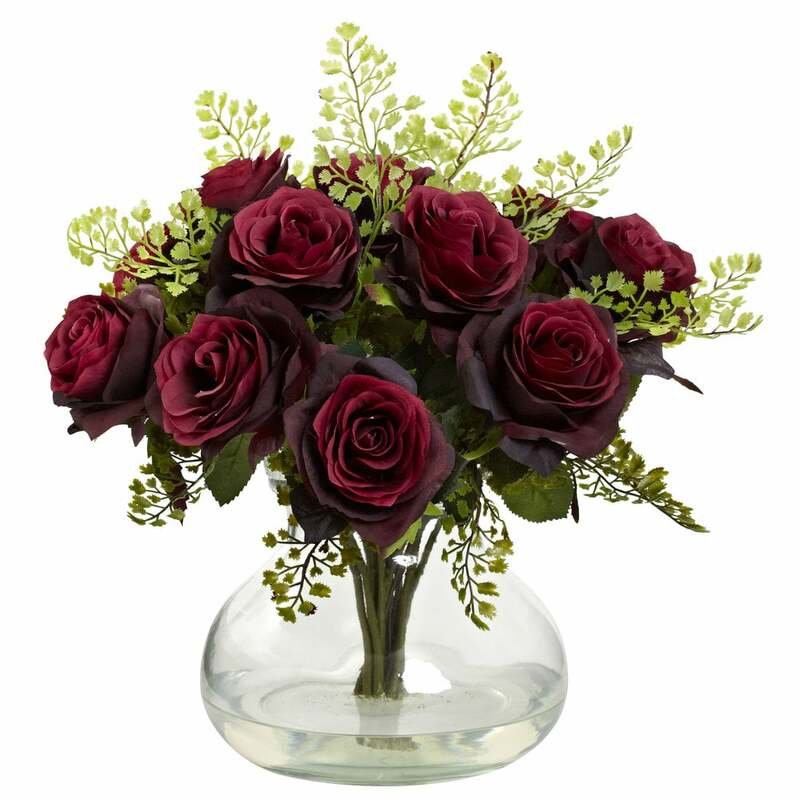 The gorgeous colors of the roses make this the perfect piece for any occasion as well as an ideal centerpiece or gift for that someone special. Surrounded by captivating Maiden Hair and housed in a curved glass vase with Liquid Illusion faux water, it’s a timeless classic that will look great forever.